James Roberts was born on the 12th February 1963 in Queens, New York City USA, and is a rapper, musician, actor and radio personality better known under his stage name – Ed Lover. He is most famous as a former MTV VJ, as the host of “The Ed Lover Show” as well as for collaboration with Doctor Dré (do not confuse him with Dr. Dre) on the hip-hop comedy “Who’s the Man” (1993). Have you ever wondered how much wealth this multimedia artist has accumulated so far? How rich Ed Lover is? According to sources, it is estimated that the total amount of Lover’s net worth, as of late 2016, is $5 million, acquired through his professional engagements in the music and filmmaking industry. Prior to becoming a solo artist, Ed Lover was a member of No Face, a rather eccentric hip hop collective containing Kevon Shah and Mark Skeete known as Mark Sexx. The trio debuted in 1989 under Island Records with the album “Hump Music”, which was a sexually explicit, underground parody to the 1988 “I’ll House You” released by The Jungle Brothers. In 1990 No Face released “Wake Your Daughter Up” under the band’s own No Face label but Ed Lover was not credited on the album. In the early years of the 1990s, Ed Lover started co-hosting “Yo! MTV Raps”, and that’s when he met Doctor Dré, MTV’s VJ at that time – Ed Lover made a cameo appearance in the music video for the single “Wanted” from Doctor Dré’s only album The Bytches (1991). As a TV host, Ed Lover won the hearts of the audience with his punch line “C’mon, son!” as well as his special Ed Lover Dance, which he performed in the music video for DJ Mark the 45 King’s song “The 900 Number”. All these achievements helped Ed Lover to establish himself in the world of rap, and help him gain a net worth of $5 million. 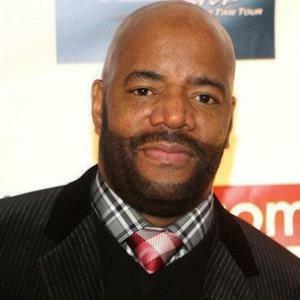 Between 1993 and 1998, Ed Lover served as the co-host of New York’s Hot 97 FM Morning Show with Ed, Lisa and Dré. In 2000 and 2001, Ed hosted HBO’s “KO Nation” – a television series presenting up-and-coming boxers in a hip hop way. Later, Ed transferred to New York’s Hip-Hop Radio Power 105.1 FM, where he stayed ‘til 2010. Currently, Ed serves as a host of the TV show “Hip Hop Hold ‘Em”, “The Ed Lover Show” which is aired every Saturday on Old School 100.3 FM as well as Sirius XM Radio’s “Back Spin” show. He is also hosting his own, self-produced web show – “C’mon, Son!”. Judging by his net worth, Ed Lover is doing a good job. Parallel to his radio hosting career, Ed Lover has made some efforts towards acting. The real breakthrough in his acting career came in 1993, when alongside Doctor Dré he wrote the story and had a roll in Ted Demme’s directing debut “Who’s the Man”, which follows Ed and Dré, two barbers who suddenly join the police. Some other notable roles of Ed Lover include that of Marvin Bonds in the 2002 action thriller “Undisputed”, as well as side roles in popular TV series “According to Jim” and “Psych”. It is certain that these acting engagements have helped Ed Lover to add a significant sum to his overall net worth. When it comes to his personal life, Ed Lover manages to keep it mostly very private. However, there were some rumors in the media that apparently Ed Lover is divorced from his wife Kim, with whom he has two children, due to illegitimate affairs from which he has another two children.